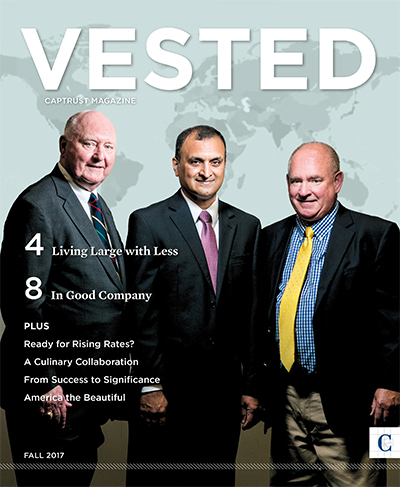 We are pleased to announce that the Fall 2017 issue of VESTED, CAPTRUST’s magazine for clients and friends, is now available. Subscribing clients will receive their copies in the mail the week of October 24. INVESTMENT STRATEGY: Ready for Rising Rates?